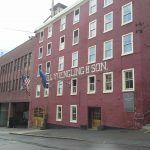 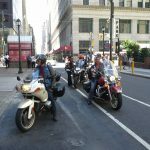 The Water Buffalo ride into Pottsville, where Schuylkill County Municipal Authority hosted the group and coordinated a tour of Yuengling, America’s Oldest Brewery. 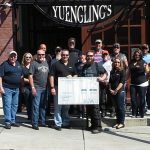 At the tour, Patrick M. Caulfield, P.E., Executive Director, Amy S. Batdorf, Assistant Director, and Joe W. Vernay, Superintendent presented a donation to Ride With A Purpose on the steps of the Yuengling Gift Shop and Museum. 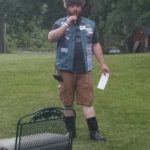 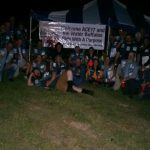 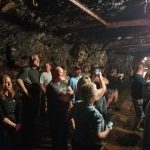 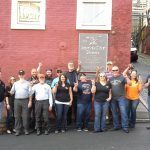 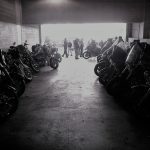 Attached are some pics of the Check Presentation, Tour (including the underground caves beneath the brewery), and a pic of the front of the Brewery. 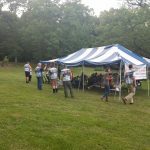 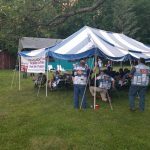 Aurel Arndt, former Lehigh County Authority Executive Director and current AWWA Treasurer, and his wife Jane hosted a BBQ for the Water Buffaloes at their residence in the Lehigh Valley. 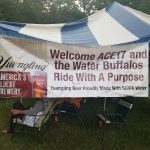 Also, included are some pictures of the Water Buffaloes entrance into AWWA ACE17 in Philadelphia.